Advocacy is providing justice for the victims of various forms of violence and exploitation. 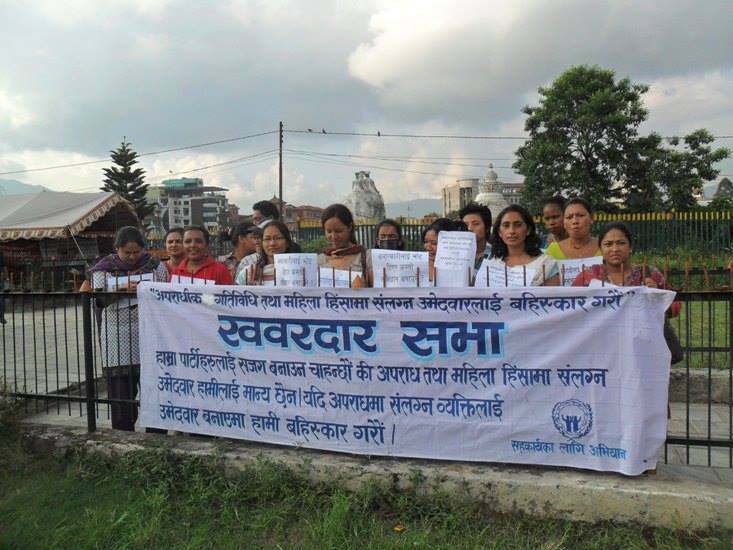 Through protests, dialogue and press releases, CAN advocates to the Nepalese government, NGOs and IGOs to provide equal rights for minorities, especially women and the Dalit caste. This was particularly relevant in the process of the Nepalese constitution. Through grassroots level advocacy, and bringing people under the law, real and positive change can occur. Legally, there are 96 provisions that favour men in areas of nationality, property rights, sexual offenses, marriage and family life. The caste system, albeit legally removed in 1963, is culturally entrenched. Therefore, women of lower dominions, especially the traditional Hindu ‘untouchable’ Dalit, often experience double discrimination. Advocacy therefore helps prevent and change the structural channels of opression. CAN focuses on creating awareness of a variety of social issues, as a means for social change and prevention. Such issues include human trafficking processes, gender-based violence, caste-based oppression and reproductive and sexual health. Through training programs, information provision (posters, flyers, pamphlets etc.) and education to members of the family unit, awareness is raised to prevent instances of these issues in communities. Scholarship participants are especially given awareness training as part of their leadership programs.